Thwarted in its earlier attempt to merge with AstraZeneca (AZ), Pfizer has matched expectations and announced a major new acquisition, although its $15bn bid for Hospira has raised eyebrows. The $90-per-share bid for the generics company – which specialises particularly in sterile injectable products that are generally more resistant to copycat competition and has an emerging biosimilars business – makes it more likely that Pfizer will follow through on nascent plans to break up the company, according to analysts. Pfizer has already hived off animal health and nutrition businesses and towards the end of 2013 restructured its remaining operations into three units - one for generics and two for branded medicines – leading to widespread speculation that more splits were in the frame. The company's $119bn bid for AZ last year cooled that speculation, but the Hospira deal marks a significant expansion in the company's generics unit that some believe could presage its independence. Adding Hospira will provide an immediate near-term boost to Pfizer, which has been struggling with patent expirations on key products that have pegged back revenues, with an immediate turnover increase and up to $800m in cost-savings by 2018. It also ties in with comments made during the company's fourth-quarter results meeting last week that products – not R&D – were the driver for any future acquisitions. However, questions are already being asked about the price being paid for Hospira, and whether Pfizer will be able to bank a profit if it does decide to spin out the generics business at a later date, particularly as it lacks the scale of bigger generic rivals. Meanwhile, with $33bn in liquid capital ready to be spent, there have also been suggestions that the company may dip into its cash pile yet again with another acquisition. For now, adding Hospira will help Pfizer prop up revenues as it tries to bring a new crop of products through its pipeline and onto the market, including just-approved breast cancer therapy Ibrance (palbociclib) and its emerging immuno-oncology portfolio. “Both sterile injectables and biosimilars are large and growing categories, said Pfizer, adding that the global market for generic sterile injectables is estimated to be $70bn in 2020, while the biosimilars market could reach approximately $20bn in the same year. 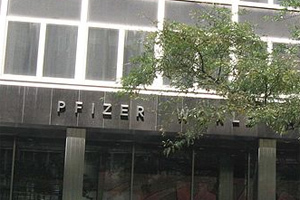 That interpretation buoyed investors, and Pfizer's shares were up nearly 3% by the close of trading yesterday.